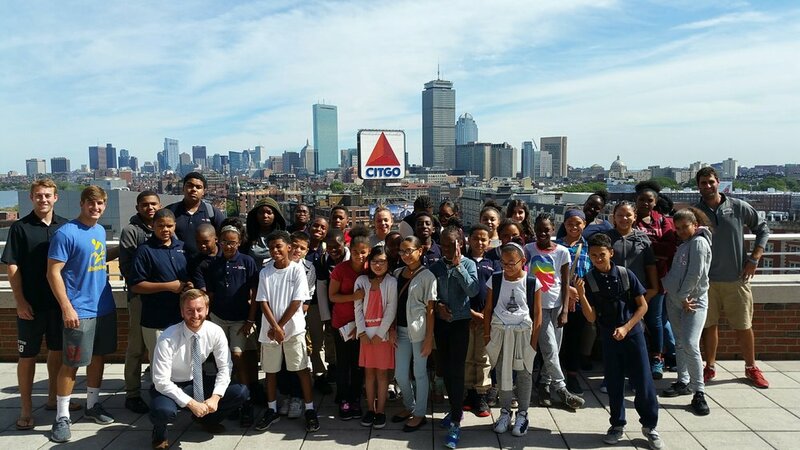 On September 21, 2016 the girls of TechBoston and the boys of Young Achievers traveled to Boston University to discover what a day in the life of a student-athlete is like at one of Boston’s strong institutions. Harlem Lacrosse student-athletes started their day learning about the University from Daryl Deluca, Assistant Dean of Students. BU Men’s Lacrosse Head Coach Ryan Polley then led us on a tour of the beautiful campus. 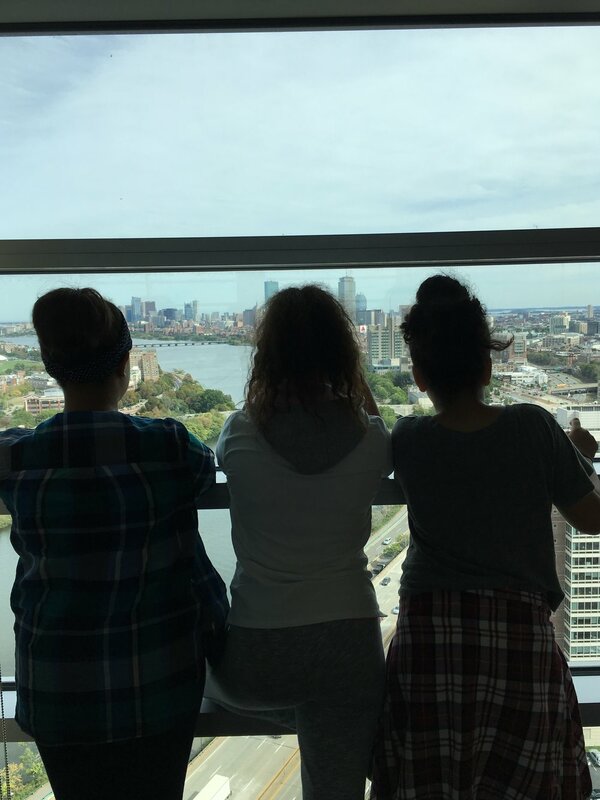 Harlem Lacrosse student-athletes were able to see the business school, Agganis Arena, athletic campus, and take in stunning views of Boston from a 26th floor study lounge in a BU residence hall. The highlight of the tour for the boys was spending time in the BU Lacrosse locker room, where we met the players, tried on their lacrosse gear, and culminated with a stick trick competition. 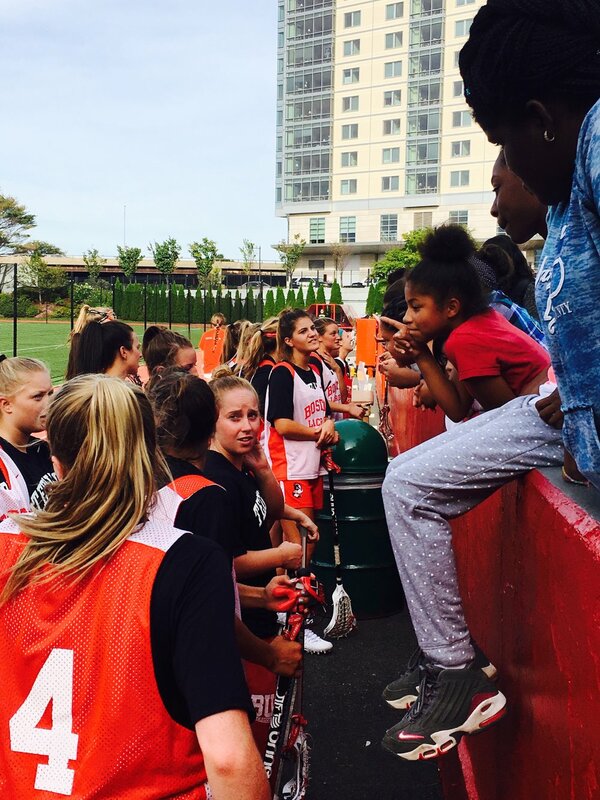 Meanwhile, the girls were given a unique inside look when they were given the opportunity to watch the Women's Lacrosse Team practice. Head Coach Liz Robertshaw then invited HL players into the locker room to learn stick tricks and hang out with the team. Each player received a ball before saying goodbye to the Terriers. After the tour, we had the privilege of hearing from the BU Athletic Director, Drew Marrochello. He gave us a glimpse of what it is like to run a college athletic department and was gracious to answer all of our questions. We finished the day with a study hall session led by the BU Men’s lacrosse team before enjoying some pizza together. We want to give a huge thank you to Coach Polley, his staff, and team for all their effort in putting together a magical day, Dean DeLuca and Mr. Marrochello for taking the time to speak with us, and Coach Robertshaw and her team for giving the girls a sneak peak of the life of a Terrier and generous gear donation.